This is used to grade a persuasive letter. 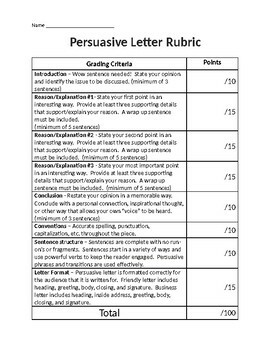 It isn't a traditional rubric, but instead assigns points so that it transfers easier for grading. The document can be edited to fit individual classroom needs.